Love the casual look of sweatshirt-meets-outerwear? We've taken it up a notch. 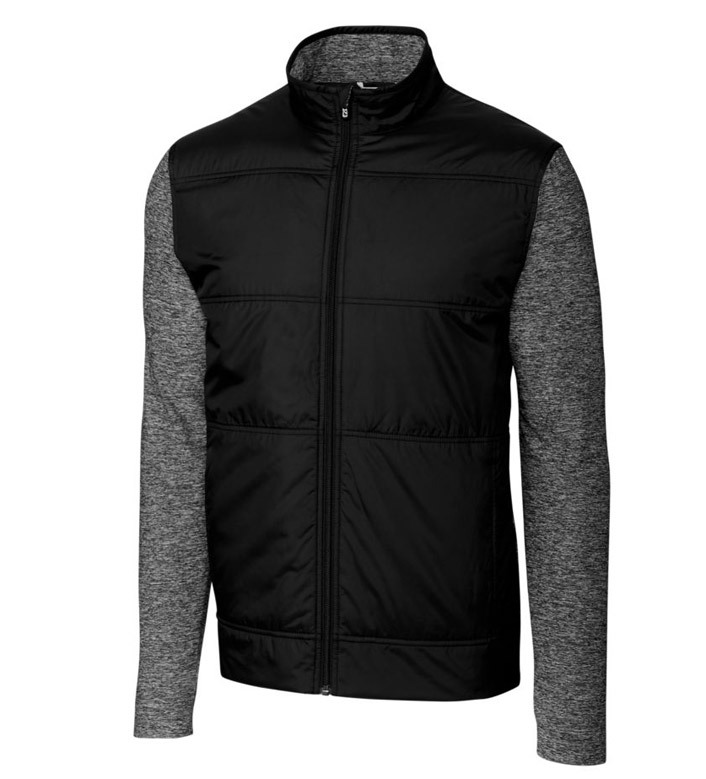 The heathered sleeves and back look like cotton, but are smooth, lightweight and sewn right onto the vest for better weather protection. 89% polyester, 11% spandex. Machine wash (cold delicate). Imported.